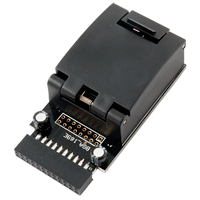 Adapter GPG eMMC BGA 162 allows you to flash phones eMMC memory, working with GPG EMMC, EASY Z3X JTAG and others boxes support read write eMMC/ISP. 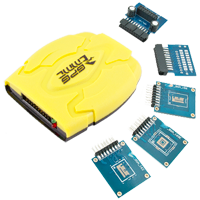 Adapter GPG eMMC BGA 169E allows you to flash phones eMMC memory, working with GPG EMMC, EASY Z3X JTAG and others boxes support read write eMMC/ISP. 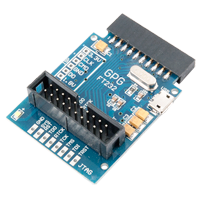 Adapter GPG-FT232 dla GPG eMMC Box is to solve all of connectivity ISP issue such as: eMMC ORC: 00000000, bad code ! >> Id check lost. GPG EMMC JTAG Box is a box for repairing dead Android and WP8 phones with EMMC. The supported model range includes Samsung I9300/I9100, HTC G14, Sony, China ZTE/China Huawei/China MTK and thousands of other phones and brands. GPG EMMC support does not depend on the phone model. 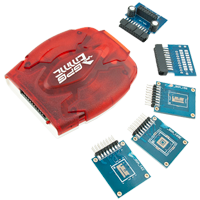 You can fulfill Read / Write operations with any phones that have a supported EMMC IC. GPG EMMC JTAG Box Full + 33 JIG is a box for repairing dead Android and WP8 phones with EMMC. The supported model range includes Samsung I9300/I9100, HTC G14, Sony, China ZTE/China Huawei/China MTK and thousands of other phones and brands. GPG EMMC support does not depend on the phone model. 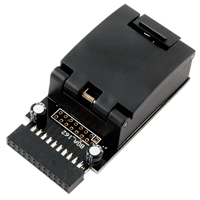 You can fulfill Read / Write operations with any phones that have a supported EMMC IC.